We have been using QR codes in our math stations for quite some time. I have always used QR math stations that were already made. If you want to try QR codes in the classroom, try www.teacherspayteachers.com. Just type in QR codes and some will pop up that you can download. You will need a device to scan the codes with. 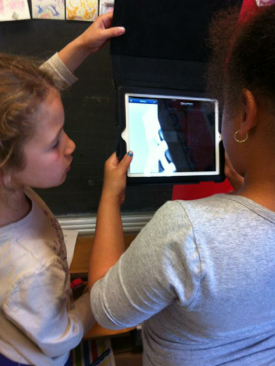 We use the free Qrafter QR code reader app for the iPad. My grade 1 students love when I hide the QR codes around the room and they have to find them. We have used QR codes for addition, subtraction and word problems. I wanted to try to make my own QR code literacy station. My students have a Read and Write the Room station every week during literacy. We have been learning about insects the past couple of weeks so I wanted to use this station to ask questions about insects and for them to record their answers. First, I searched the internet for free QR code creators. There were many out there to choose from. Secondly, I thought of 10 questions for the students to answer by scanning the QR code hidden somewhere in the classroom (it's always more fun when you have to find the code). I asked questions like, "How many body parts does an insect have?" and "Name an insect that is a carnivore." Next, I printed the codes that I created. 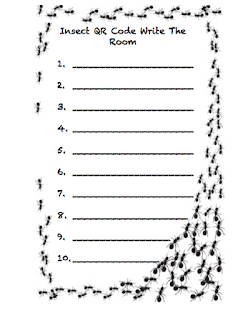 Then, I made a recording sheet for the students to print their answers. Lastly, I hid the codes around the room for the students to find. I even created an extra QR code for when they completed the station. They are able to scan the final code to find out that they may play one of the insect apps we have downloaded on the iPad. I was very pleasantly surprised how easy it was to create. 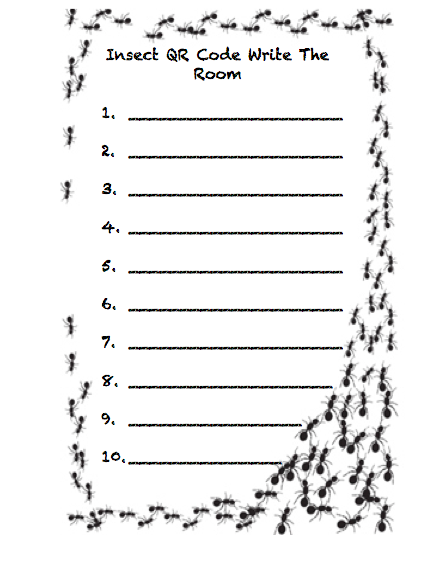 I encourage you to try it in your class, and if you have, please let me know how you have used it. I am always looking for new ideas! 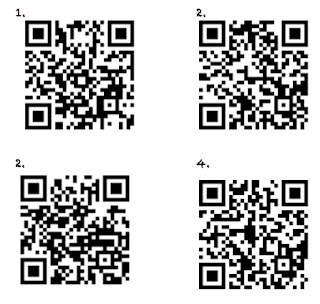 The first 4 QR codes I made. Now that I have access to a bit more technology I have made QR codes too. I have one posted outside my classroom window so that families that are waiting can easily scan and read our blog while they wait. Other ideas I have include using QR codes in my library with either youtube readings of books in the library, or direct links to author's blog. 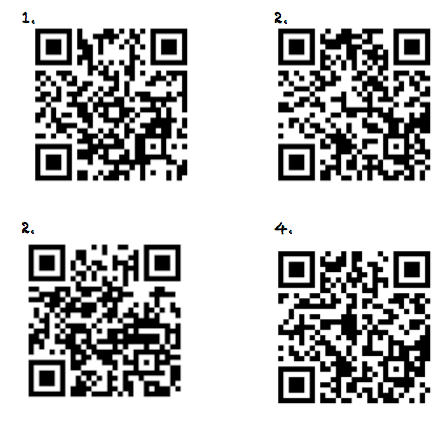 For every new unit/theme I want to create QR codes to websites on our topic of study. I will have to experiment more with them as I know my students are keen to use them. More head spinning Mrs. Wideen that I can blame on you. THANK YOU! Thanks for sharing, I'm looking forward to trying this in my class. Great idea!